This shell shocked US marine has become an iconic war photographs. © Don McCullin. A puff of a smoke indicates the US bombing of a Taliban position. Otherwise there is no sign of any impact, highlighting how war has become more remote. Courtesy Luc Delahaye & Galerie Nathalie Obadia. 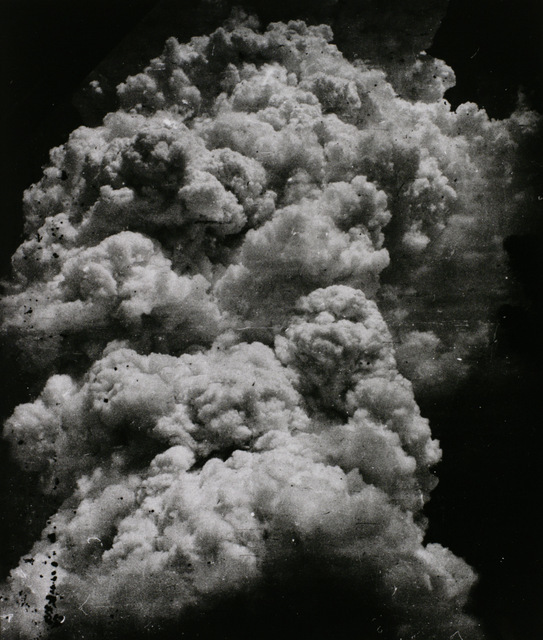 This image of a mushroom cloud was taken minutes after the Hiroshima blast. Courtesy Tokyo Metropolitan Museum of Photography. An apartment building and associated shops show the damage of years of war. © Simon Norfolk. The impacts of the atomic bomb in Nagasaki has resulted in this helmet fusing with a skull bone. © Shomei Tomatsu. Courtesy of Taka Ishii Gallery. 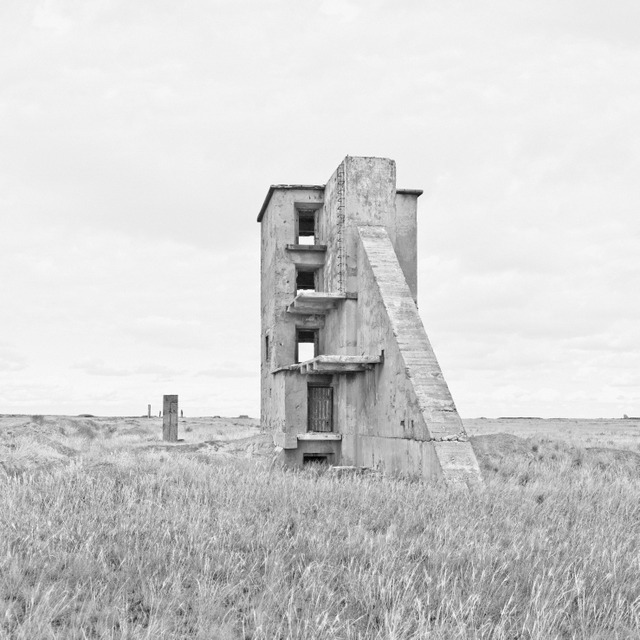 Part of a series of photographs of disused Soviet nuclear test sites in what is now Kazakhstan. © Ursula Schultz-Domburg. This being the centenary of the First World War, we've had a whole host of war exhibitions. 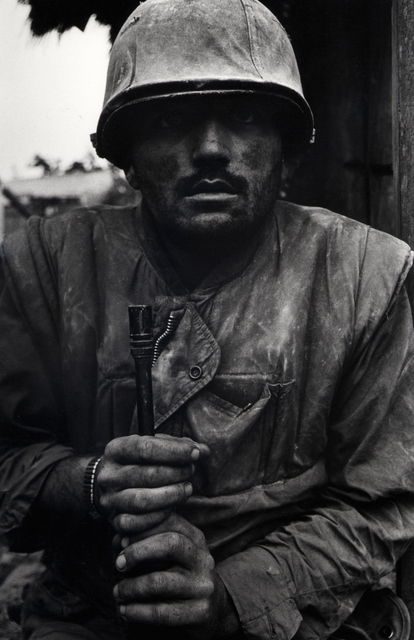 Now the Tate Modern has put on a photography show on this theme — Conflict, Time, Photography. But rather than showing the horrors of war, the focus is on aftermath and the legacy of conflict — from mere seconds to many decades after an event, covering everything from the Crimean War to modern day. The first half of the exhibition is one of the best photography shows we've seen this year, with sparingly curated, powerful photographs at every turn. These can't fail to emotionally engage with the viewer — whether it be Don McCullin's famous shot of a shell shocked soldier in Vietnam, or the terrifying clouds captured moments after Hiroshima. Modern day conflicts are ably represented by Luc Delahaye's image of a hazy road after an improvised explosive device has gone off. There is very little actual destruction shown in these images yet they lose none of their impact because of this. 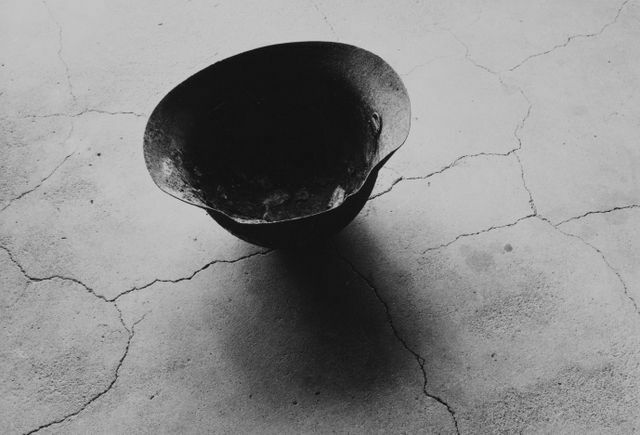 The most powerful work was taken in Nagasaki, where the shadow of a soldier has been burned onto a building after the atomic blast. It's an image that, all on its own, makes a case for nuclear disarmament. There's also a room where floor to ceiling photographs by Sophie Ristelhueber brilliantly chart the destruction of the Gulf War. The second half of the exhibition loses its way somewhat, with large series of photographs looking at conflicts around the world including Congo, Libya and the Troubles in Northern Ireland. The subject matter is just as hard-hitting, but the cluttered layout of images lessens their impact. This is a very good exhibition on the legacy of war, and had the second half been more carefully curated, it would have been one of the exhibitions of the year. 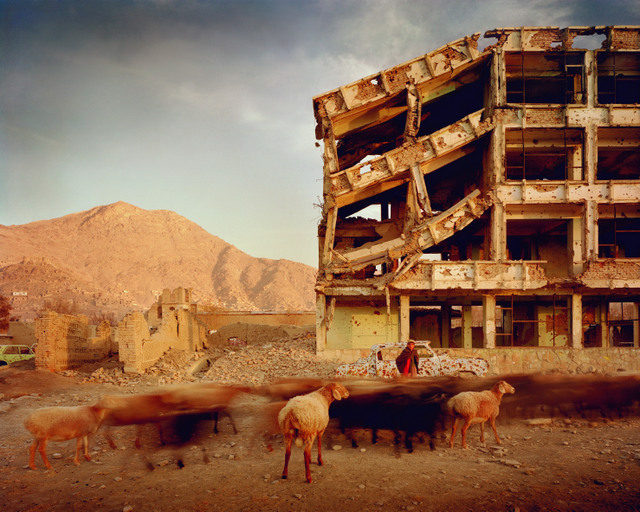 Conflict, Time, Photography is on at Tate Modern until 15 March 2015. Tickets are £14.50 for adults, concessions available. Still on at Tate Modern is the experimental art of Sigmar Polke.